GPhiO Marketing – Gamma Phi Omega International Sorority, Inc.
Chicago, Ill., April 11, 2017 – Gamma Phi Omega International Sorority, Inc. (Gamma Phi Omega) has officially obtained its national headquarters in Chicago – a historic moment in the organization’s history. Gamma Phi Omega signed a lease at 1945 S. Halsted in Chicago’s East Pilsen neighborhood. The building is currently being renovated and modernized, and has kept its unique architecture with stain-glass windows and high ceilings. The location includes direct access off the highway, conference room space, kitchen and restroom facilities across the hall. The national headquarters will be used for meeting space, office work space for sisters/interns/employees, substitutes for storage space, and serves as shipping/receiving location for ordered items and postal address. The National Board of Directors (NBOD) have moved into the space in March and it will be open to the public as needed for partnership meetings, but mostly be utilized by members. The grand opening will occur in Summer 2017. The national headquarters demonstrate signs of continued success, growth, and progress that will be made in the organization. Chicago, Ill. Feb. 3, 2017 – Gamma Phi Omega International Sorority, Inc. (Gamma Phi Omega) has officially recognized University of Illinois Springfield Colony (UIS) as Chi Chapter, marking it as the 22nd undergraduate chapter in the Midwest. With undergraduate and alumnae entities across IL, IN, and TX, Chi Chapter’s 15 founding members are the largest founding line in Gamma Phi Omega history. The ladies who formed part of UIS Colony appeared before the National Board of Directors (NBOD) to present an overview of their past years events and accomplishments. All programming revolves around the organization’s’ four goals: Academic Excellence, Community Service, Cultural Awareness and Sisterhood. “I am very impressed with the achievements of this group and look forward to the growth and future of this chapter,” said Irma Ortiz, National President of the NBOD. Sisters from Chi Chapter were proud to announce to the NBOD that they completed 392.95 hours of volunteer work in their community and are involved in multiple organizations on campus including: Capitol Scholars Honors Program, Alpha Lambda Delta National Honor Society, and Organization of Latin American Students. With great impact on their campus, the ladies are viewed positively on campus and do their best to co-sponsor and support events put on by different student organizations. As a chapter, the ladies plan to do more quality programming that engages their campus, hope to select their chapter philanthropy and want to find more ways to serve the American Diabetes Association. “It is still unreal for me – not that long ago I was a Cygnet and now I am a Chi Chapter Founder! I am so proud of my line sisters and myself for all the work we have put in to accomplish achieving chapter status, said Colleen McMahon, President of Chi Chapter. “All of our hard work has paid off and we achieved something bigger than all of us – expanding the most gorgeous, prestigious, and original Sorority!” To connect with Chi Chapter, email uis@gammaphiomega.org or visit their Facebook Page. About Gamma Phi Omega International Sorority, Inc.
Gamma Phi Omega International Sorority, Inc. (Gamma Phi Omega) is a Latina-oriented organization founded on the campus of Indiana University April 17, 1991. Gamma Phi Omega strives to unite sisters in the principles of achieving academic excellence, serving the communities in which we live and learn, preserving the sacred bond of sisterhood among women, and uplifting and advancing a cultural awareness among Latinos and those in our global communities. Gamma Phi Omega is committed to the values of diversity and inclusion in order to attain and maintain excellence within our sisterhood providing women an equal opportunity without regard to race, age, sexual orientation, national origin, religion, marital status or disability. Gamma Phi Omega is a proud member of the National Association of Latino Fraternal Organizations. New Member Joins the National Board of Directors of Gamma Phi Omega Int’l Sorority, Inc.
Chicago, Ill., January 3, 2017 – Gamma Phi Omega International Sorority, Inc. has appointed and transitioned a new member to the National Board of Directors (NBOD) this past month. The new member will serve as the National Vice President through the end of the fiscal year 2017. Joining the NBOD is Danette Surges of DePaul University, Epsilon Chapter. As an undergraduate, Danette was Epsilon chapter’s NBOD undergrad representative, and after graduation immediately ran for the NBOD becoming Philanthropic Director in 2001-2002. Additionally, she served as the National Vice President and then National President in 2002-2004 respectively. “I am grateful to Danette for her willingness to serve as National Vice President for the remainder of this fiscal year. She is eager to come back and support new initiatives and see them through while in office” states Irma Amparo Ortiz, National President. Danette obtained her Bachelor’s degree in French Language and Literature with a minor in philosophy, and currently works at Perillo BMW in the Gold Coast as a Team Leader in the service department. As National Vice President, her goals include to renew/secure best possible insurance policy for our organization’s needs, work with the Risk Management Committee to revise our current risk management policy, and create new ways of educating our members on this policy and crisis management. Danette’s leadership and experience on being part of the NBOD will add great value to the organization’s strategic goals and initiaves. Two New Members Join the National Board of Directors of Gamma Phi Omega Int’l Sorority, Inc.
Chicago, Ill., November 14, 2016 – Gamma Phi Omega International Sorority, Inc. has appointed and transitioned two new members to the National Board of Directors (NBOD) last month. These two new members will serve as the Recording Secretary and National Historian. Joining the NBOD are Noemi Roman of DePaul University, Epsilon Chapter, and Flor Carabez of Northern Illinois University, Theta Chapter. “I am beyond thrilled to work with these ladies and welcome them to the NBOD. I am also excited to see our organization have a complete board for this fiscal year” states Irma Amparo Ortiz, National President. Noemi Roman, the new Recording Secretary, received her Bachelor’s Degree in Political Science and Latin American and Latino Studies. She currently works for a federally funded program called GEAR UP (Gaining Early Awareness and Readiness for Undergraduate Programs) at Roosevelt High School and Clemente High School. As Recording Secretary, her goal is to assist with communication protocols within the sorority. Flor Carabez received her Bachelor’s Degree in Community Leadership and Civic Engagement, and currently works in the Student Financial Services department in Columbia College Chicago. As National Historian, she plans to unite sisters among innovative historical projects and create a platform to commemorate sisters’ triumphs in the organization. Both Roman and Carabez’s leadership and motivation will add great value alongside the rest of the NBOD. With two new board members, the National Board of Directors is comprised of thirteen women. 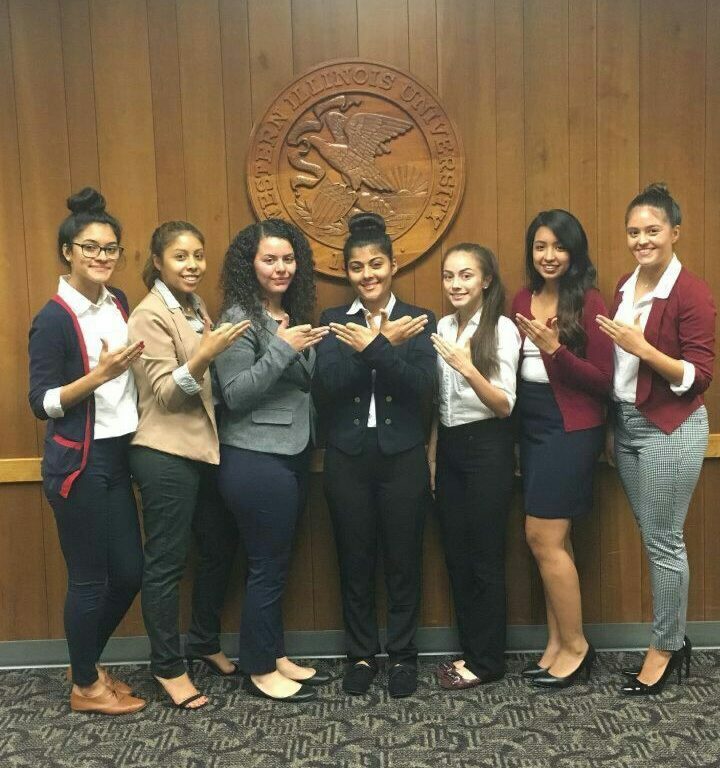 Chicago, Ill. Sept. 16, 2016 – Gamma Phi Omega International Sorority, Inc. (Gamma Phi Omega) has officially recognized Western Illinois University Colony (WIUC) as Phi Chapter, marking it as the 21st undergraduate chapter in the Midwest. The organization has undergraduate and alumnae entities across IL, IN, and TX. The ladies who formed part of WIUC appeared before the National Board of Directors (NBOD) to present an overview of their past year’s campus events. All programming revolves around the organization’s four goals: academic excellence, community service, cultural awareness and sisterhood. 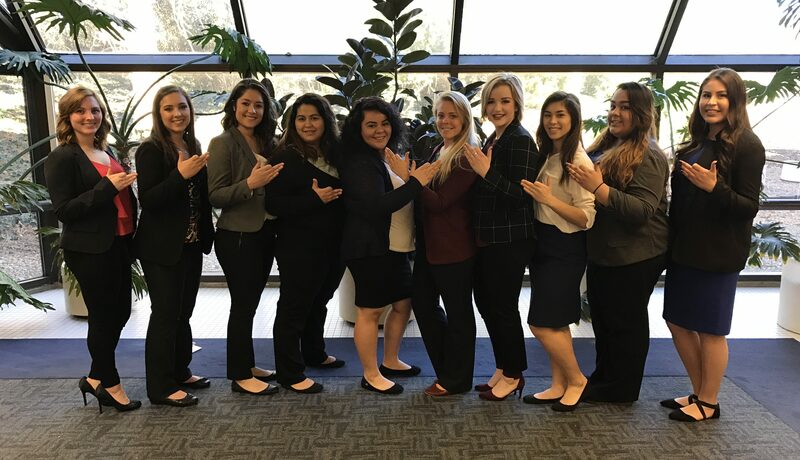 “I am incredibly proud of the accomplishments these ladies have made on campus in their time as a colony and look forward to those they will achieve with chapter status,” said Irma Ortiz, National President of the NBOD. The ladies plan to make events such as the Bandana Project and co-partnering with Greek and Non-Greek organizations annual, as well as continue their efforts to raising awareness about the organization’s values of Sisterhood, Leadership and Success. To connect with Phi Chapter, email wiu@gammaphiomega.org or visit their Facebook Page. The National Swan Award is given to an undergraduate sister who has encompassed all four goals into her daily life – Academic Excellence, Community Service, Cultural Awareness and Sisterhood. The National Swan promotes each goal across all boundaries and communities, as well as being a leader within and outside of the sorority. This year, Gamma Phi Omega International Sorority, Inc. proudly recognizes Sigma Chapter sister Rebecca “OrIana” Schwartz as our National Swan. We asked her a few questions; get to know our National Swan! When is your crossing date? What is your degree in and when did you graduate? Where did you grow up? Do you have any siblings? I grew up in St. Charles IL and I have 2 younger sisters. Andrea will be a senior and Northern Illinois University in the fall and Nicole will be a freshmen at Eastern Illinois University. Where do you currently work or what is your ideal profession? I finished up my student teaching experience at one of the elementary schools in our St. Charles School District. I was offered and accepted a job as a summer school science teacher where I taught 2 sessions of science camp for students that will be entering 1st grade in the fall all the way up to students entering 6th grade. After a lot of hard work and patience, I have landed my dream job – I accepted a first grade teaching position at one of the elementary schools in St. Charles! What positions did you serve on at Sigma Chapter? While at Sigma Chapter I served as the Community Service Chair, I also am the proud Shadow of our Gamma Line! What is your favorite GPhiO memory? This is a hard one as I’ve had many amazing GPhiO memories. One that stands out would definitely be crossing because I knew that would be the start of something amazing. I will never forget that day because it was so special and I had reached a major goal. Another one of my favorite memories was being awarded National Swan. Since before becoming a member of Gamma Phi Omega I knew that my values and goals aligned with GPhiO. I’ve always tried my best to make a difference in not only my life but in the lives of others. It was so nice to be recognized for my hard work and dedication to the organization. I know how much previous National Swan recipients have inspired me in the past and I can only hope to do the same for my sisters. What is your favorite GPhiO event? I love National Conference! I think National Conference is so amazing because just when you think you know everything about the organization, you quickly learn that that’s not the case! I love learning new things about GPhiO, and I love connecting and reconnecting with sisters across various chapters. I’ve played the viola in orchestras for 13 years, getting invited to play at venues such at Disney World and touring the East Coast including the White House. I also love crafting (but what Swan doesn’t??). I learned to knit as part of my 5th grade curriculum, and have continued doing it ever since! I often donate my knitted items to nursing homes! What activities/other organizations were you apart of at Illinois State University? I was a part of the Symphony Orchestra and College Mentors for Kids while at ISU. I also worked several jobs including jobs with ISU housing services as well as teaching Violin and Viola lessons. My proudest moment was very recent. It was when I graduated from ISU on May 7, 2016 and ending my Spring Semester with a 4.0 GPA. I have worked so hard over the past 4 years to get my GPA back up after having a very rough transition to College. My goal was to increase my semester GPA every single semester, which I not only managed to do but I ended my last semester in College with a 4.0. Graduating college was a big moment for me because I have worked so hard to get there. Through the different struggles I have overcome, graduation wasn’t easy. My family has done so much for me to ensure that I can get the education I need to follow my dreams that I wanted to make them proud. I am the first in my family to graduate from a 4 year institution and I hope that I was able to pave the way for my 2 younger sisters. I can’t just pick one role model because both of my parents are so important to me. Both my mom and dad are my role models because of everything they have ever done for me. They have both always put their family first and have given up numerous items and opportunities for their children. They have both always worked; my dad sometimes working 2 jobs in order to make sure my sisters and I had everything we needed and the education that we wanted. My dad has had numerous surgeries over the years but still manages to make sure his family is okay over himself; I believe we will be adding surgery number 14 to the list this summer. I would not be who I am without both of my parents, they have sacrificed so much for me and have done so much for me that I don’t even know how to repay them. I can only hope that one day I can follow in their footsteps and do the same for my family and my future children. What was your most memorable moment at ISU? I’ve had a lot of great moments at ISU, but those memories I would have never had if I hadn’t chosen ISU at the college I wanted to attend. One of my most memorable moments at ISU was the first time I visited the campus before making the decision to attend. 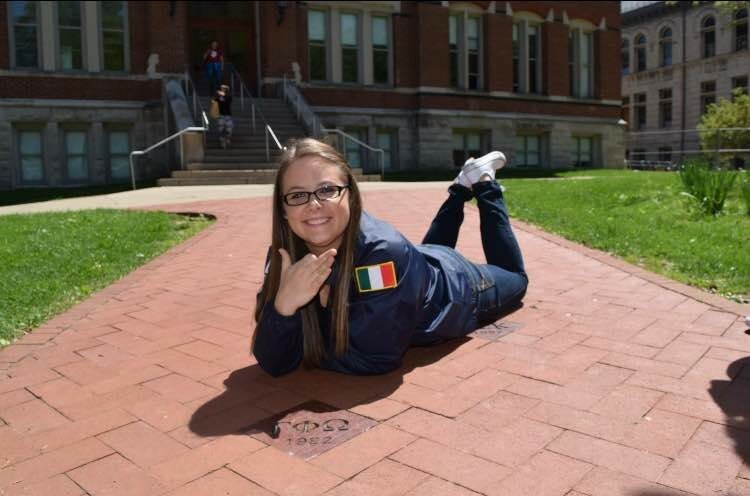 The moments I stepped onto the quad and began the tour I knew that ISU was the place for me. I will always remember the sense of home that I felt being there for the first time and how excited I got to attend. What was your most memorable community service event? I am very passionate about doing community service, and there is not one community service event that I have done that I have not gotten satisfaction out of helping others and the rewarding feeling that comes with it. Although all of the community service that I do is memorable, I would have to say one that I will always remember happened while I was volunteering at a local homeless shelter. I have built relationships with some of the residents at the shelter and the most rewarding experience is seeing their faces when they find their own place to live and sending them off with some basic supplies they need to get started on their own. Seeing the smile on their face as they walk out the door and say goodbye for the last time is something that I remember forever. Have you ever traveled outside the country? If so, where and when? I have never traveled outside the country, however it is my dream to travel to Italy and experience more of my culture. If you could trade places with anyone (past or present) who would it be and why? I would trade places with my grandmother because I’ve always admired how strong of a person she is and how outgoing she is. Even today she is still constantly making new friends and is never afraid to make small talk or introduce herself. She is very confident as well as family oriented. I have heard so much about the rest of her family such as her parents and I wish I had the opportunity to meet them. She’s also a great cook and loves cooking traditional Italian food for her family! Most people don’t know that I have a black belt in Tae-Kwon-Do! Born and raised in Chicago, Dr. Lilia Fernández was the first in her family to graduate from high school and attend college. She obtained a B.A. in Government from Harvard University, a Master’s degree in Educational Policy Studies from the University of Illinois at Urbana-Champaign, and an M.A. and Ph.D. in Ethnic Studies from the University of California, San Diego. Currently an Associate Professor in the Department of History in Ohio State University, Fernández is also affiliated with the Latino/a Studies Program, the Women’s Gender and Sexuality Studies Department, and the Comparative Studies Department. Dr. Fernández’s research interests include U.S. Latino history, immigration, race and identity, urban renewal and gentrification, women’s history, urban education and many others. She has published over two dozen articles and essays , and has given nearly 100 presentations on her work throughout the United States and Puerto Rico, including at the 25th Annual Chicago Humanities Festival, the Latino Midwest Symposium, the COMPAS Conference on Immigration, the Beyond the Barrio Symposium, the Urban History Association and many more. At Ohio State University, Dr. Fernández serves as a graduate advisor and undergraduate mentor, and has also served on nearly twenty committees and working groups such as the Latino/a Studies Advisory Committee, the Diversity Committee, the Faculty of Color Caucus and the University Senate. “Dr. Lilia Fernandez is one of the most hardworking women I have ever known, both in the academic setting as well as the professional setting. At her core, Lilia represents all of the qualities that Gamma Phi Omega women symbolize,” states Lissette Flores, biological sister of Dr. Lilia Fernández and sister of Gamma Phi Omega. Dr. Fernández’s groundbreaking book Brown in the Windy City: Mexicans and Puerto Ricans in Postwar Chicago was released in 2012 and is the first history to examine the migration of these two ethnic groups to Chicago. In her work, she discusses the social and economic changes that took place in the urban north in the mid-20th century, such as declining industrial employment, massive urban renewal projects and how Mexicans and Puerto Ricans navigated these dynamics to claim their own geographic and racial space in the city. In January 2013, Dr. Fernández was featured on WTTW’s Chicago Tonight nightly news program. In a little over a year, the hardcover edition of Brown in the Windy City sold out, leading to its release in paperback in July 2014. Dr. Fernandez is the recipient of a number of prestigious awards, including the Ford Foundation pre-doctoral, dissertation and postdoctoral fellowships as well as The Ohio State University’s 2011 Alumni Distinguished Teaching Award. In March of 2015, she was honored as one of Hispanic Lifestyle’s Latinas of Influence for her contributions to the Latino community. “It is an honor to call Dr. Fernandez a sister of Gamma Phi Omega. Her accomplishments are remarkable and motivating to the rest of our members as well as others in the community we serve,” states Irma Amparo Ortiz, National President. We are inspired by her accomplishments and her dedication to the advancement of the Latinx community. We welcome Dr. Lilia Fernández as an Honorary Member of Gamma Phi Omega International Sorority, Inc.
Three New Members Join the National Board of Directors of Gamma Phi Omega Int’l Sorority, Inc.
Chicago, Ill., June 22, 2016 – Gamma Phi Omega International Sorority, Inc. has appointed three new members to the National Board of Directors (NBOD) this month. These three new members will serve as the Recording Secretary, Director of Alumnae Affairs, and Programming Director. 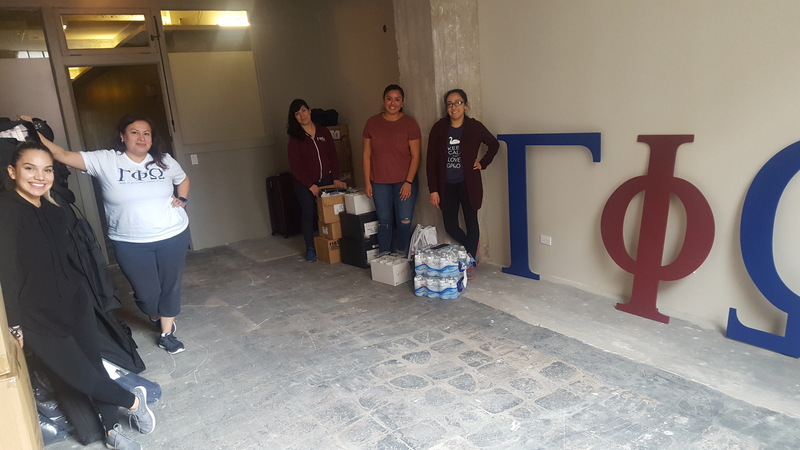 Joining the NBOD are Valerie Vargas of University of Illinois at Urbana-Champaign, Lambda Chapter, Jennifer Baquedano of Northern Illinois University, Theta Chapter and member of Phi Delta Alumnae Chapter, and Maria Amador of DePaul University, Epsilon Chapter and member of Phi Alpha Alumnae Chapter. “I am ecstatic for these ladies to join us for this fiscal year, I know they are going to contribute greatly and have already shared wonderful ideas” states Irma Amparo Ortiz, National President. Valerie Vargas, the new Recording Secretary, served on the NBOD as the Membership Intake Director for the 2014-2016 term. As Recording Secretary, her goals include making pertinent information readily available to the body with our new website, as well as create systems to support absentee voting and national bylaw proposals. Jennifer Baquedano is currently a Birth-Three Program Monitor for the State of Illinois at Erikson Institute, and also serves as Sisterhood Chair for Phi Delta Alumnae Chapter. As Director of Alumnae Affairs, she plans to support all existing entities in their development, as well as form networking events to allow connections between alumni and current undergraduates. Maria Amador is currently an Assistant Principal at William H. Taft High School and served on the NBOD as Alumnae Director for the 2001-2002 term. As Programming Director, she anticipates to strengthen and improve the programs that we provide for undergraduate and alumnae sisters and work closely with National Event Chairwomen. Five New Members Join the National Board of Directors of Gamma Phi Omega Int’l Sorority, Inc.
Chicago, Ill., June 3, 2016 – Gamma Phi Omega International Sorority, Inc. has officially elected five new members to the National Board of Directors (NBOD) at this past National Founders’ Conference in April and have begun their term June 1st. These five new members will serve as the National President, Financial Director, Membership Intake Director, Expansion Director, and Director of Undergraduate Affairs. Joining the NBOD are Irma Amparo Ortiz of University of Illinois at Chicago, Beta Chapter, Laura Soria of University of Illinois at Chicago, Beta Chapter, Jeanette Bonilla of Northern Illinois University, Theta Chapter, Priscilla Marrero of Illinois State University, Sigma Chapter, and Reina Salcedo of Northeastern Illinois University, Nu Chapter. “These five ladies have already displayed qualities of leadership and the passion to advance the organization. I am looking forward to what this group of women will accomplish in the upcoming year,” states Gina Nunez, outgoing National President. Irma Amparo Ortiz, the new National President, works for Northeastern Illinois University as a Program Manager for a federally funded program called GEAR UP (Gaining Early Awareness and Readiness for Undergraduate Programs) in partnership with Chicago Public Schools. She has served on NBOD from 2004-2010 as Academic, Expansion, Membership Intake, and Program Director, as well as National President. With an increase in membership and chapters, Irma hopes to revamp the organization’s systems and structures to adapt to both the growth and needs of the sorority. Laura Soria is a Legal Support Team Specialist/Paralegal for a primarily IP law firm in Chicago, Husch Blackwell, LLP. She’s served on NBOD from 2001-2007 as Expansion Director, Financial Director, and National President. As Financial Director, Laura anticipates developing investment strategies and making sure the organization’s budgets align with the long term goals. Jeanette Bonilla works at Champs Sports and is currently serving her first term on NBOD. As Membership Intake Director, she plans to work closely with the new Expansion Director in hopes of improving recruitment and communication. Priscilla Marrero is a Diverse Learner Instructor at Norman Bridge Elementary and is serving her first term on NBOD. Her goal as Expansion Director is to maintain and increase the sorority’s membership within existing and potential universities. Marrero’s knowledge from being a Cygnet and chapter founder allows her to put things in perspective of those who want to do the same. Reina Salcedo works at the University of Illinois at Chicago College of Medicine as the Assistant Director of Student Development and is serving her first term on NBOD. As Director of Undergraduate Affairs, Salcedo plans to provide longitudinal personal and professional opportunities for undergraduate members and provide resources to Regional Directors and Chapter Mentors.